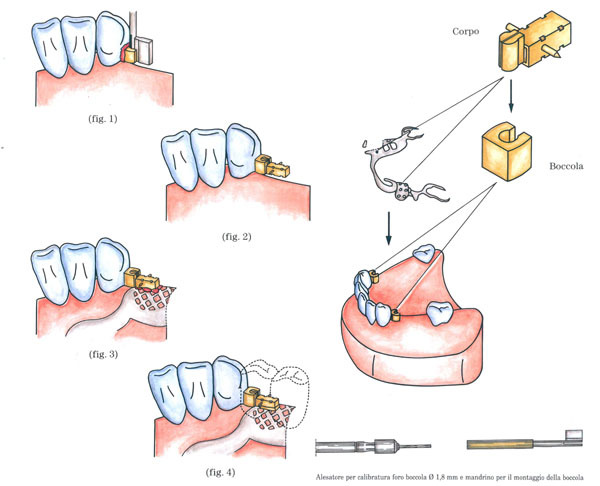 The extracoronal dental attachment international MiniGrifo M.G.16 is a concrete solution for removable dentures. Easy to apply, it is made up of four main elements (female, male, pin and sheath) easily interchangeable removing the pin placed laterally to the sheath. Realized in very small dimensions, M.G.16 is ideal also for works with low space. The particular cylindrical shape of the joint offers an extended contact surface giving a greater retention force and friction and gives a special ease of insertion. Modern technology, using highly qualified materials, grants the best retention of the attachment over time. 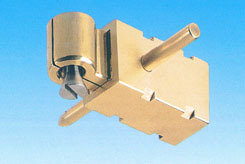 Minigrifo attachment M.G.16 can be provided also with adjustable patrix allowing a more precise activation. Investing the crown with the soldering female. Go on with the surveying and the casting. Before the duplicating, remove the male, insert the pin and fill the sheath of plaster or silicon to prevent the infiltration of the resin. Procede with the finishing of the prosthesis.